*Includes ancient accounts of the Druids written by Caesar, Cicero, Pliny, and more. *Explains the modern revival of Druids. The Celts are one of the most well-known groups in Europe and one of the least understood. Depending on which classifications are used, the Celts are also one of the oldest civilizations in Europe. In the centuries before Christ, the Celts were spread out across much of continental Europe, and though they are mostly identified with Gaul, evidence suggests they also spread as far as Portugal. However, even though they were spread out across Europe before the height of the Roman Empire, most people associate the Celts with the British Isles today, particularly Ireland and Scotland. After they had been relegated to those smaller regions as a result of the Romans and other migrations, the culture of the Celts as it is currently understood began to congeal during the Early Middle Ages, and Celtic culture, folklore, and legend have all become inextricably intertwined with Irish history and British history as a whole. The Celts have fascinated people for centuries, and the biggest fascination of all has been over the Druids, a religious class at the heart of Celtic society that wielded great power. Naturally, people have been interested in Druids for centuries mostly because they don’t understand much about the Druids or their practices. The earliest meaning of the word comes from the Ancient Romans, who labeled them “Druidae” in reference to the white robed order of Celtic priests living in Gaul, Britain and Ireland. They were a well-organized, secretive group who kept no written records and performed their rituals – allegedly including human sacrifice – in oaken groves, all of which interested and horrified the Romans. The order was eventually crushed under the weight of first Roman conquest and then the imposition of Christianity, and from the remains, centuries of myths, imaginings and dreams were superimposed over the little that was known about the Druids. Not surprisingly, people have come to associate the Druids with what have been imposed. Even today, there is a revived Druidic religious movement that fuses this skeleton of knowledge about the ancient Druids with ideas such as rituals at standing stones (like Stonehenge), nature and sun worship, the carrying of ornate staves, and Arthuriana. Wider popular culture has seen “Druids” – usually some form of secretive nature-priests – in games like Dungeons and Dragons and World of Warcraft, and films like Wicker Man (1973 and 2006) and Druids (2001). 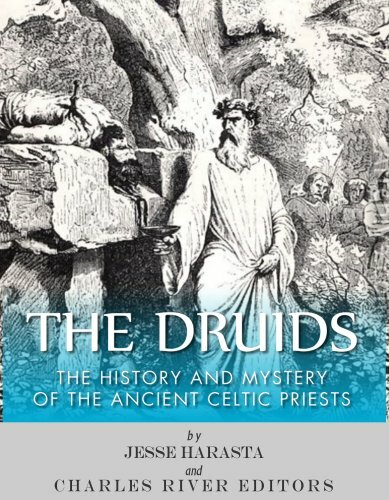 The Druids: The History and Mystery of the Ancient Celtic Priests explores the known and unknown about the Druids, from the historical evidence of their existence and practices to the evolution of Druidic concepts over time. This book also looks at the growth of Druidism since the 1700s, along with the practitioners who embrace new ideas and beliefs. Along with pictures and a bibliography, you will learn about the Druids like you never have before, in no time at all.